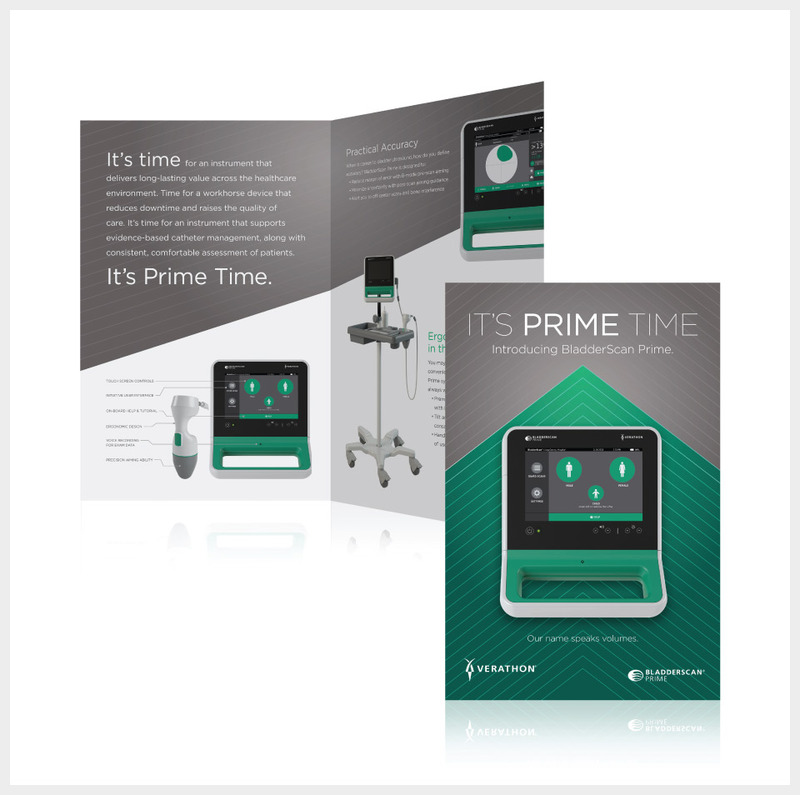 Verathon, a leading medical device company, was in need of updated branding for the new product launch of their flagship medical device, the BladderScan Prime. My role was to develop new branding that would be applied to various advertising and marketing pieces. In addition to typography and color, the branding elements included the triangle, which represents the “prime” or apex, and the repeating lines which communicate the scan lines of the device. The strong angles and use of contrast helped to create a dynamism that reflected the innovative technology behind the product.